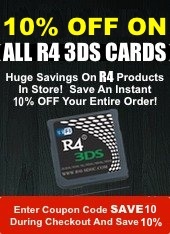 I got my order for the r4i gold 3ds, and got a surprise 2gb micro sd as a free mystery upgrade to my order! WOOOT!!!! Copied the firmware over to the micro SD, and was playing in just 5 - 10 mins. For anyone wondering, it works great with NES, and SNES games, using the NESDS and SnesDS emulators. If you're into the old skool games, then this card will make it happen. 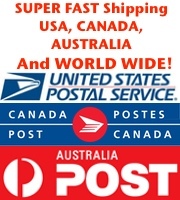 Always fast replies to emails and very helpful even after they already had the money and I bought the card. Top notch guys! I just want to know, do you get free firmware updates for life? 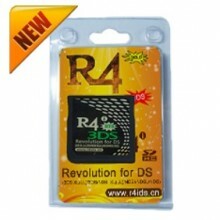 If not would you recommend the R4 3DS RTS? The first rom i did put in was Metroid prime hunters. 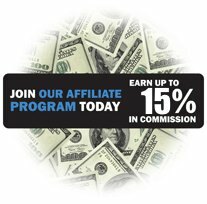 Its sooooo easy too install! 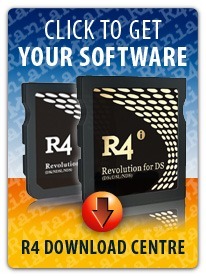 The R4i Gold is DA BOMB! Thank you, Thank you, THANK YOU! That's all I can say. I bought the R4i Gold based on some reviews left by friends of mine, and I am so freaking happy I did. I have been playing my old NES and SNES games on my 3DS now since the day I got it. The shipping was fast and the customer support super helpful. Buying from the official store is a MUST!